Happy New Year to all of you! I hope the new year has started in a good way for you. Have you planned any good resolutions for 2017? Some of us may have decided to move more, to take more time for relaxation, to eat healthier or to loose weight. May our good resolutions be fulfilled at the end of the year. In order to loose weight some reduce the consumption carbohydrates. I’m a typical German I love fresh bread. As there are more than 300 different kinds of bread in Germany, it is not so easy for my to resist a good fresh bread. Furthermore bread plays a great role in German nutrition. Among this variety the so-called “Eiweißbrot” (protein bread) is more and more on advance. I like the idea of reducing carbohydrates in the evening. That’s why I bought a protein bread in a bakery and tasted it. As it was really good, I decided to look for some recipes to make a homemade one. 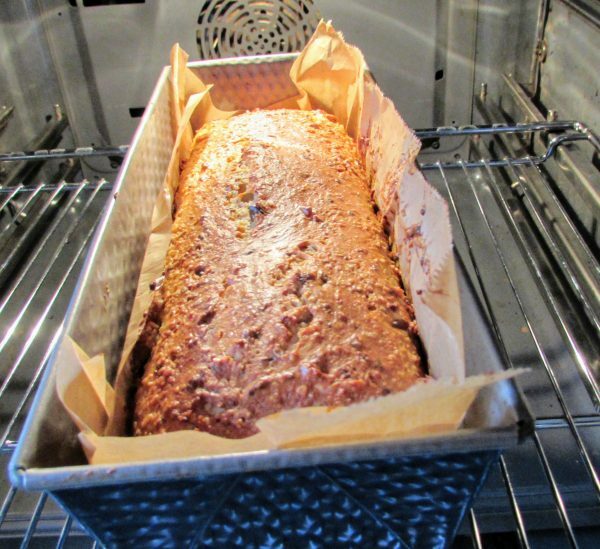 I found a large number of German recipes.They all have in common that you need 6 to 8 proteins for a single bread. My question is: “What do I do with 6 to 8 egg yolks?” I don’t want to throw the egg yolks away. That is why I do it a bit my way. That is to say I use 3 middle-sized eggs instead of 6 proteins and further more I add hazelnuts to the given recipe. 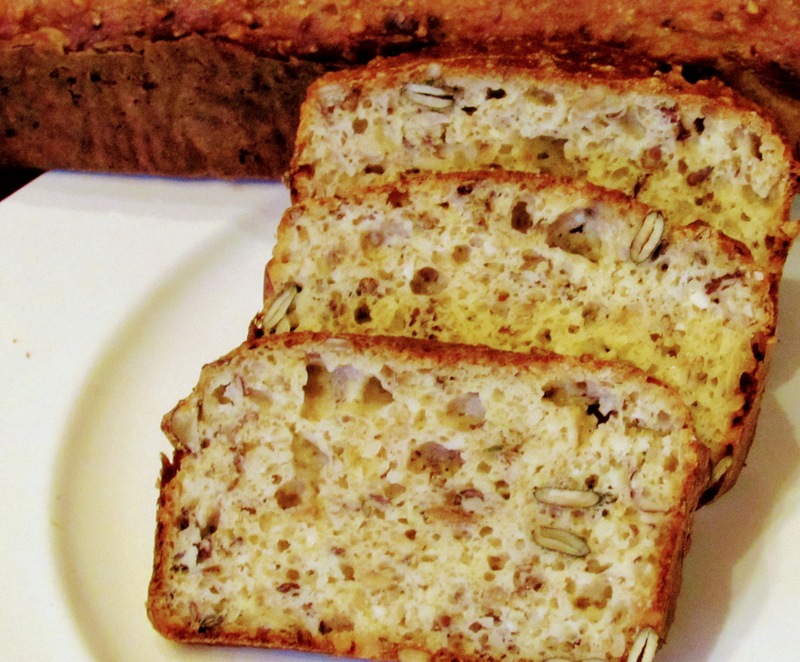 Here it is my first Low-Carb Bread. I hope you like it! 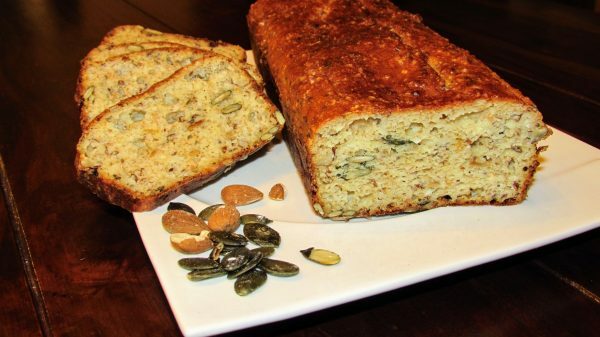 Have fun baking your homemade low carb bread! This recipe is also available in German on kochfokus.de. Just click here. Preheat the oven at 175 degree upper/lower heat. Roast the sunflower seeds and the pumpkin seeds in a pan without any fat. Put the ground almonds and the flaxseed in a large bowl. Add the Whole-Spelt flour, the baking powder, the salt and mix well. Add the eggs, the low fat quark, the chopped hazelnuts and stir well until the dough is fluffy. 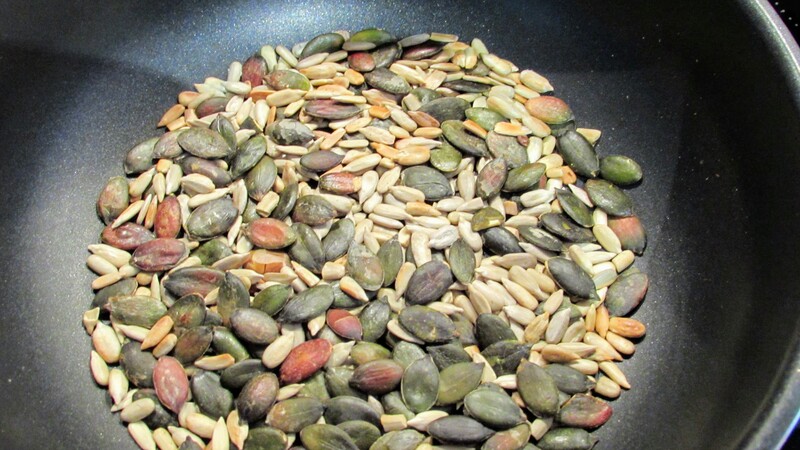 Spread two tablespoons of the roasted sunflower seeds and pumpkin seeds on the bottom of the loaf pan. Pour the dough into the loaf pan, place it on the middle rack in the preheated oven and bake the dough for fifty minutes.